Type your UPS Freight tracking number below, get live delivery information with our express tracking system. UPS Freight is the Less-Than-Truckload (LTL) trucking division of UPS. 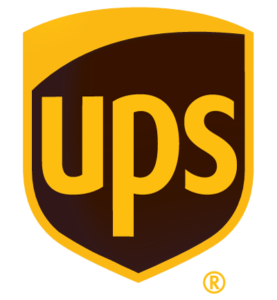 UPS acquired on August 8, 2005, Overnite Transportation Company (and its subsidiary Motor Cargo) from the Union Pacific Corporation (parent company of the Union Pacific Railroad) for $1.25 billion. On April 28, 2006, Overnite Transportation officially became UPS Ground Freight, Inc. The logos on the doors of the Overnite tractors were covered with signs showing the operator as UPS Freight. UPS Freight soon changed the color scheme of the tractors from blue and grey to UPS brown on the bottom, with a gold line near the center of the tractor and gray for the upper color. All new vehicles purchased by UPS Freight LTL come painted in these colors as the older Overnite equipment is replaced, while the new tractors for the truckload division (Former Overnite Transportation – Special Services Division) are solid white with the UPS shield on the roof fairing. If you have problem with our express tracking system, please track your package directly on the UPS Freight website. If you get no tracking information from UPS Freight official website, you’d better contact them. If you have problem with our UPS Freight Tracking system, submit your problem here, we will help you as soon as possible. Declare: We can NOT contact carrier or others on your behalf, we can only help you track your package with your UPS Freight tracking number on official tracking system.